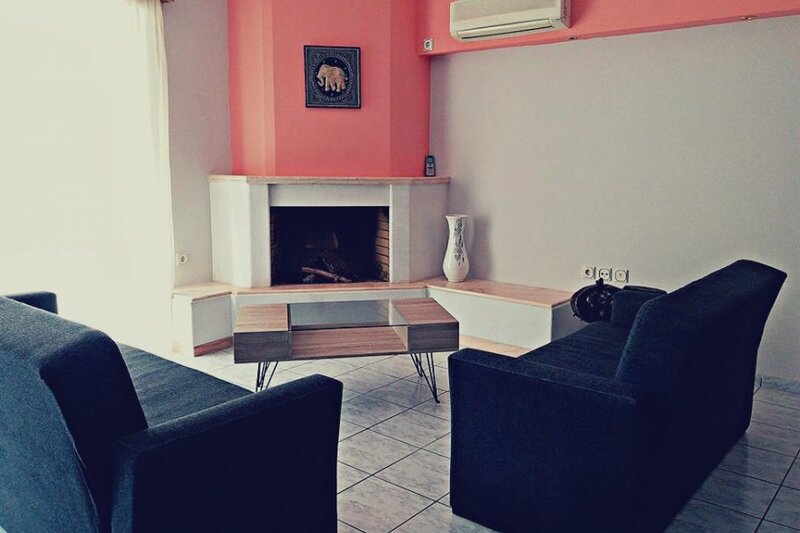 The Daphnus Apartment is a beautiful one bedroom apartment where you can relax and enjoy your time. The Daphnus Apartment (Christina's Apartment) is a beautiful place where you can relax and enjoy your time. It was created with lots of love and color make our guests happy. --> about ten minutes by car from the Kuniavitis Hot Springs. Also this little town is located at the Center of Greece, so you can live here and travel around to Delphi, Meteora, Evia. There is a bus station and a port from where you can go to Skiathos, Skopelos, Alonisos. As for the Hosts? We are Christina and Fotini (Svetlana). Me and my mother will host you at our beautiful apartment. We live at this area for about 20 years so we know almost everything about it and will gladly help you with anything you need. We ourselves love to travel and have been almost everywhere in Greece so please do not hesitate to ask us any questions.